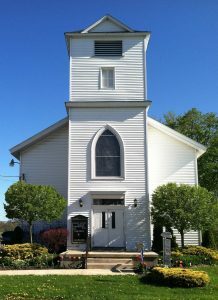 If you are searching for a family of God that is real and authentic, if you are searching for a place to grow in your faith in God, and to experience the healing touch and the life giving mercy and grace of the Lord Jesus Christ, and if you live anywhere near Lowville Pennsylvania, then we have a place waiting for you. We warmly welcome and invite you to come worship the Lord Jesus Christ with us. Jesus loves you so very much, and he has placed a love in our hearts for you as well. Come see us soon. Or if you live far far away and just happened to stumble upon this website, join us by listening in on the posted sermons. Jesus Christ, God the Son, came to give you life, abundant life, eternal life, if you would but give Him your heart and place your faith in Him. God Bless You. Your sisters, brothers and soon to be dear friends at Lowville UMC. 7:00 PM Bible Study every other week. 7:00 PM Praise and Prayer Service every other week. Wednesday Bible Study and Praise and Prayer Service are on alternating weeks. Copyright © 2019 Lowville United Methodist Church.